The Corcovado Foundation and the Osa Rural Tours program works to protect the rainforests of Costa Rica through strengthening eco-tourism and supporting families. Volunteers can encourage local communities to conserve their land and generate sustainable income. 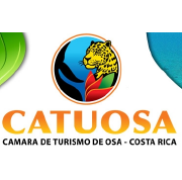 You will have an opportunity to choose from a range of projects, all located in the spectacular Gulfo Dulce and Osa Peninsula regions of Costa Rica. This eco-tourism program currently supports 11 micro businesses and protects more than 1200 hectares of forest. 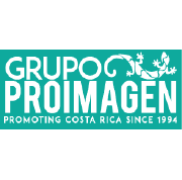 You will have the opportunity to work closely with a real Costa Rican family, helping them to protect the rainforest, waterfalls, lagoons, mangroves and the many other beautiful features of their land. Our strategy works to respect local communities and understand that with little access to infrastructure and markets, people often engage in the unsustainable activities as a matter of survival. We believe that through supporting eco-tourism, we can help to provide basic human needs while minimizing the impact of our activities on the environment. This exciting volunteer opportunity is available for the very first time this year! The Corcovado Foundation has worked hard on supporting community development and eco-tourism and now families need your help too! 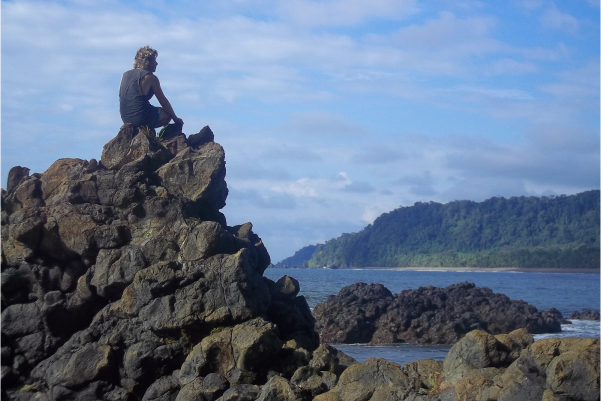 All of our volunteering programs have an excellent reputation for providing real Costa Rican experiences and we hope you will enjoy this new addition. Requirements: Aged 18 or over, in good physical condition, with a basic Spanish. You must be friendly, communicative and able to work for 4-6 hours per day. You must have a medical travel insurance policy for the duration of your stay. All volunteers can choose which project they would like to support, from 11 different projects in 6 different communities across the Gulfo Dulce and the Osa Peninsula. You can see the full list of projects on our Green Your Trip page. Transport information will be provided to volunteers after choosing their project. Volunteers may also choose to switch between multiple projects during their stay. Accommodation is in private rooms (shared bathroom) in homestay houses and includes 3 meals a day. From Drake Bay and Purto Jimenez; to Sierpe and Tigre; the Gulfo Dulce Forest Reserve is a biological corridor spanning 149,593 acres. It contains some of the most pristine wilderness and amazing flora and fauna in the entirety of Costa Rica. The communities here are vibrant and close-nit and you will have the opportunity to improve your Spanish and truly immerse yourself in rural Costa Rican culture. Each project has different needs. Some of the general tasks you will be expected to perform include: maintenance of forest trails, attending to the needs of tourists, computer and English lessons, construction or the maintenance of signage on the property. As a volunteer you will be assigned one free day each week, during which you may choose to take advantage of the tours and activities offered by the project, spend time with your host family, or just relax with a book. Work days will be up to six hours in length. $30 per night. This costs covers accommodation, three meals per day, training, and transportation between projects if desired. It does not cover snack food, spending money nor arrival and departure transportation costs. Important Note: There is no ATM near any of the projects in this network. Volunteers transiting through Puerto Jiménez or Sierpe may have the opportunity to draw cash out, however it is recommended that you bring enough cash for the duration of your stay. Please complete the Volunteer Registration Form and send via email to francisco@corcovadofoundation.org at least 2 weeks prior to your arrival. You will receive a confirmation email, along with with detailed information about transportation, what to bring and what to expect. Payment for your stay must be received before you arrive. In order to pay, please use this secure link and select ‘Volunteer Program’. You can always extend your stay, but please note that payment for the first two weeks is non-refundable. Follow Osa Rural Tours on Facebook! Go to the Osa Rural Tours Website!